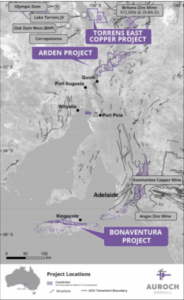 Cadence Minerals Plc – Auroch Minerals (ASX: AOU) Identifies Potential Targets at Torrens East Copper Project. 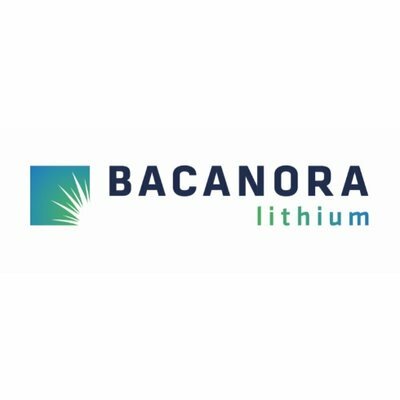 Cadence Minerals (AIM/NEX: KDNC; OTC: KDNCY) is pleased to note the update published today by Auroch Minerals (ASX:AOU) ‘Auroch’ on its recently-acquired Torrens East Copper Project (Torrens East). Exploration Licence Applications ELA00159 and ELA00163 comprise 1,622km2, and are considered by Auroch to be highly prospective for IOCG (iron oxide – copper – gold) mineralisation. 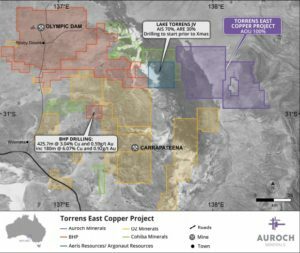 An initial review of the South Australian Government’s Mineral Resources aeromagnetic and gravity data, together with available geological and drilling data over the Torrens East licence area has identified a likely eastern extension of the Torrens JV gravity anomaly, which continues into Auroch’s application licence. Auroch has completed a review of historical geophysical, geological and drilling data for its Torrens East Copper Project (Torrens East), identifying potential target areas for follow-up exploration. 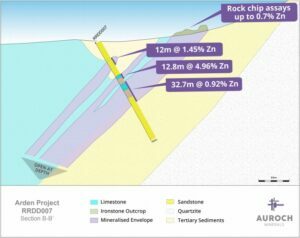 The review identified on Auroch’s exploration tenure a likely eastern extension of the large Torrens JV (70% Aeris Resources Ltd; 30% Argonaut Resources NL) gravity anomaly. Torrens JV commenced a $20m drilling programme 6-10km to the west of Torrens East. BHP Group’s (BHP) Oak Dam West prospect returned best drilling intercepts: 425.7m @ 3.04% Cu and 0.59g/t Au, including 180m @ 6.07% Cu and 0.92g/t Au. Cohiba Minerals announced plans for a drilling programme at its “Horse Well” project 2km from BHP’s Oak Dam West prospect. The Torrens East project is located along the eastern margin of the Gawler Craton in South Australia, in a similar regional setting to the Olympic Dam and Carrapateena deposits around the Torrens Hinge Zone, a continent-scale zone of crustal weakness with the potential to act as a conduit to release mineralising fluids from the Earth’s mantle. The Torrens East Copper Project is 1,622km2 of ground considered highly prospective for Iron Oxide Copper–Gold (IOCG) mineralisation. The large exploration licence applications (ELAs) are situated adjacent to the Torrens JV (70% Aeris Resources Ltd; 30% Argonaut Resources NL) approximately 50km from BHP’s recently-announced drilling in the Olympic Dam copper-gold province, host to the world-class Olympic Dam (BHP Group Ltd) and Carrapateena (Oz Minerals Ltd) IOCG deposits. 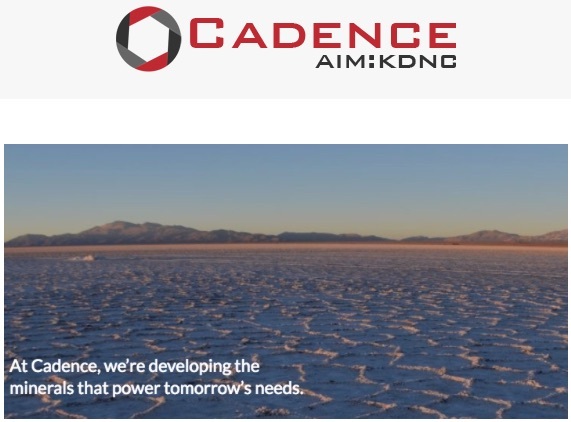 Cadence Minerals #KDNC – Auroch Minerals (ASX: AOU) Infill Sampling Extends Mineralisation at Ragless Range, Arden Zinc Project. 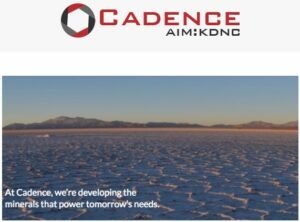 Cadence Minerals (AIM/NEX: KDNC; OTC: KDNCY) is pleased to note the update published today by Auroch Minerals (ASX:AOU) ‘Auroch’ that infill sampling of the remaining intervals of core from the Ragless Range drill-holes has identified more zinc mineralisation and increased the width of some of the previously reported significant intercepts, particularly for drill-hole RRDD007 which intersected high-grade zinc mineralisation including 3.65m @ 15.47% Zn from 62.15m. As previously reported, all eight drill-holes at the Ragless Range Prospect successfully intersected at least one SEDEX zinc horizon, over a strike length of more than 3km. Initial assay results from drilling ended in mineralisation in several holes (most notably RRDD007) and warranted further infill sampling. An additional 407 samples from five holes were submitted to ALS Laboratories in Adelaide for multi-element determination, with 24 samples returning >0.5% Zn (83 samples anomalous at >0.1% Zn). The zinc mineralisation intersected in RRDD007 differed to that in the other drill-holes in several ways. Firstly, the mineralisation extended over significant down-hole widths, including several very high-grade intervals. Secondly, there appeared to be a structural-control on the high-grade zinc mineralisation, different to the stratabound SEDEX zinc mineralisation observed in the other drill-holes. Also, high-grade zinc silicate minerals were observed in some intervals, similar to those observed in the Flinders Project deposits (Perilya Limited) including the Beltana Zinc Mine (972kt @ 29.8%Zn) located approximately 150km to the north of the Arden Project. 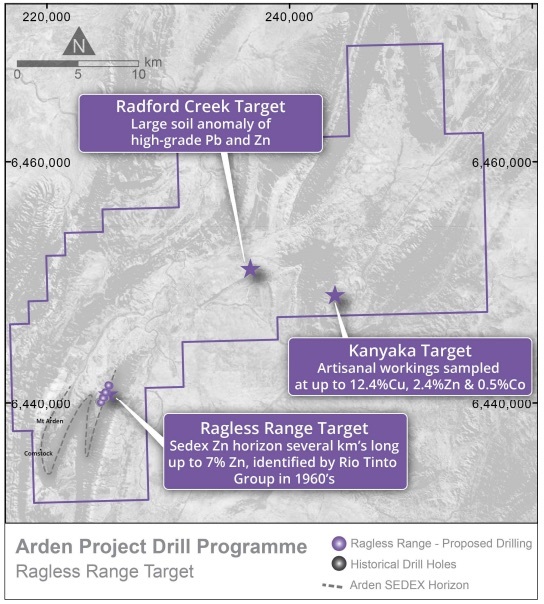 In addition to the infill sampling programme, the geological team have begun project scale mapping at the Arden Project, beginning with key areas of focus such as the fold hinges and interpreted faults near the high-grade result in RRDD007. Significant ironstone gossans, similar to that which lies to the southeast of drill-hole RRDD007, have been mapped and rock-chip samples have been taken to be submitted to the laboratory this week. 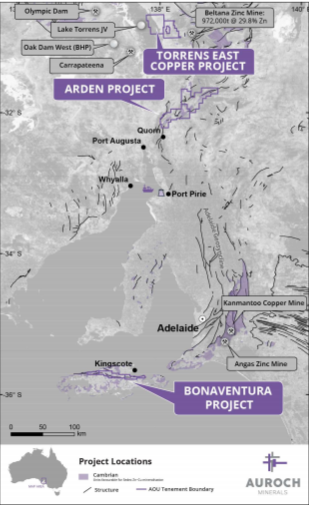 Cadence Minerals (KDNC) – Auroch Minerals (ASX: AOU) drilling intersects veins of Zinc-Lead mineralization at Bonaventura. Submit questions for Live Webinar. 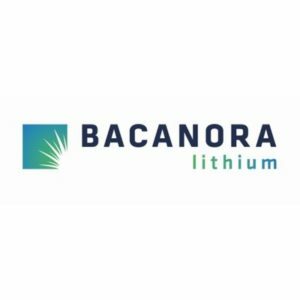 Cadence Minerals (AIM/NEX: KDNC; OTC: KDNCY) is pleased to note the update published today by Auroch Minerals (ASX:AOU) ‘Auroch’ that it has successfully completed its maiden drilling programme at its 100%-owned Bonaventura Project in South Australia, intercepting significant base-metal mineralisation at its Dewrang and Grainger Prospects. 6.0m at 1.53% zinc and 0.21% lead from 28.3m, including 1.0m at 4.50% zinc and 0.34% lead from 33.3m. 7.0m at 1.65% zinc and 0.26% lead from 64.2m, including 1.0m at 4.14% zinc and 0.66% lead from 70.2m. Further drilling at the Dewrang Prospect (Bonaventura Project) intersected significant base-metals mineralisation coincident to a previously defined 1.5km geophysical IP anomaly. Auroch is planning a structural geology study of the Grainger Prospect in order to better understand the deformational history of the target area and the structural control over mineralisation in order to potentially define target areas of thicker mineralisation and/or higher grades. Samples will also be tested in order to determine which geophysical survey method might be used to best define potential zones of base-metal mineralisation and thus locate possible drill targets for the next phase of drilling at the Grainger Prospect. The Dewrang Prospect remains a priority target area for Auroch since the drilling has demonstrated that the 1.5km long IP chargeability anomaly appears to correlate with base metals mineralisation. Additionally, historic surface soil-sampling highlighted the area as highly-anomalous in both zinc and lead. The geology team will continue to build the geological database, in order to develop these targets and define new target areas within the large tenement package, with the intent of defining targets for the next phase of drilling at the Bonaventura Project in the first half of 2019. Listeners are encouraged to submit questions prior to the call by emailing cadence@brrmedia.co.uk or by clicking on the question button at the foot of the webcast.